Letting some of the younger golfers play, the UG boys golf team was still able to squeak out a win over Luella and Alcovy at Heron Bay. Scoring for UG was Tanner Greer (47), Bray Scroggins (46), Grant Futch (66), and Mason Heard (62). Three of these golfers are freshmen and one of them a sophomore. The future for boys golf at UG is bright. 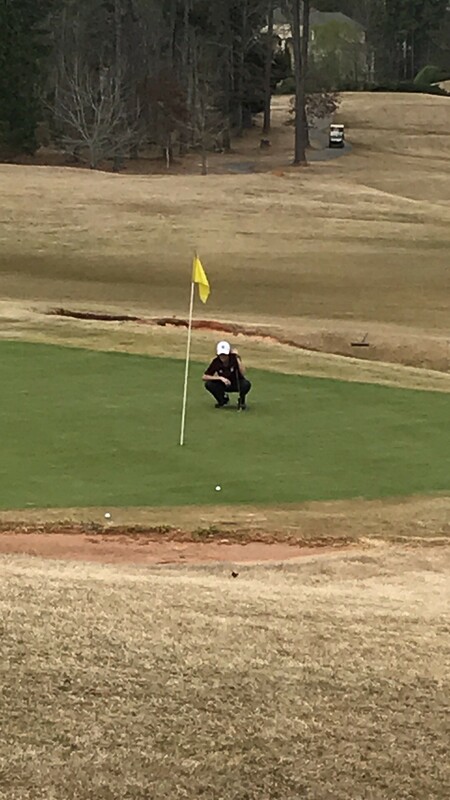 Pictured is Bray Scroggins reading a putt that he later sank to save par from the greenside bunker.